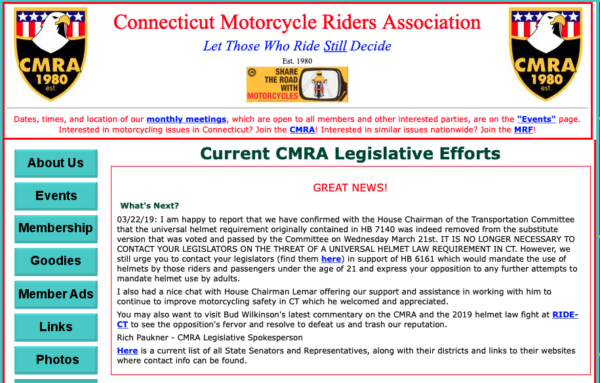 HARTFORD – A day after posting incorrect information under a “BAD NEWS!” headline on its website, asking members to protest to state legislators against a bill that it believed called for a universal helmet requirement for riders, the Connecticut Motorcycle Riders Association has now corrected the blunder and called off its protest. 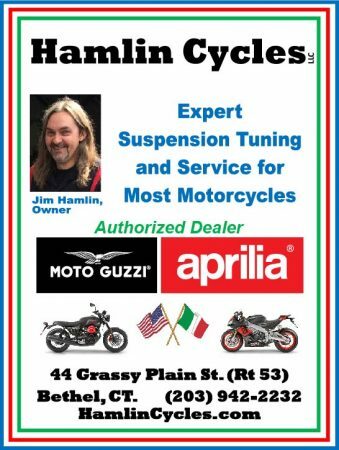 A new post headlined “GREAT NEWS!” went up this evening, confirming a Thursday story on RIDE-CT & RIDE-NewEngland that contained a full explanation of how H.B. 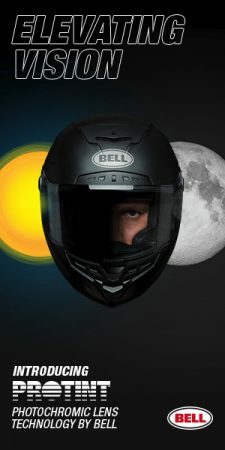 7140 had been voted out of the Transportation Committee but in substitute form with the helmet provision carved out. 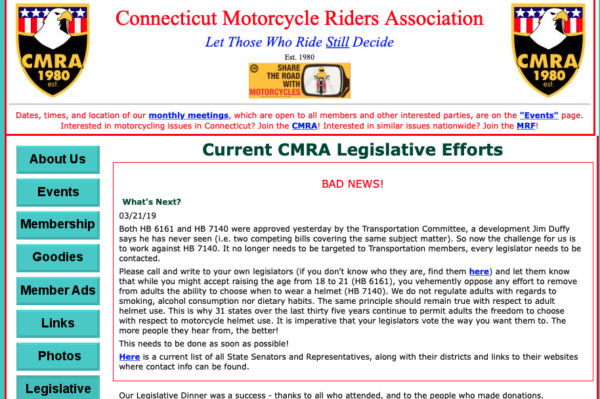 It still isn’t known just how many legislators have received unnecessary missives from C.M.R.A. 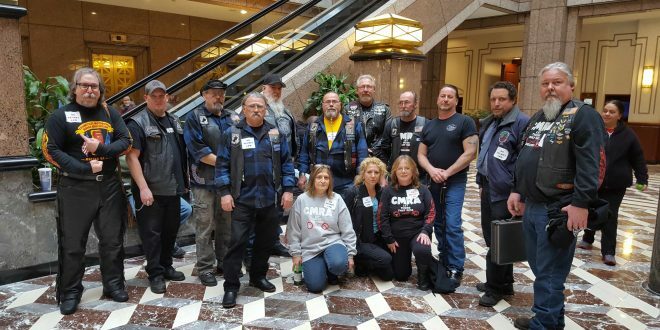 members urging rejection of the non-existent legislation. The C.M.R.A. was presumably unaware that a substitute version of H.B. 7140 had been voted upon. 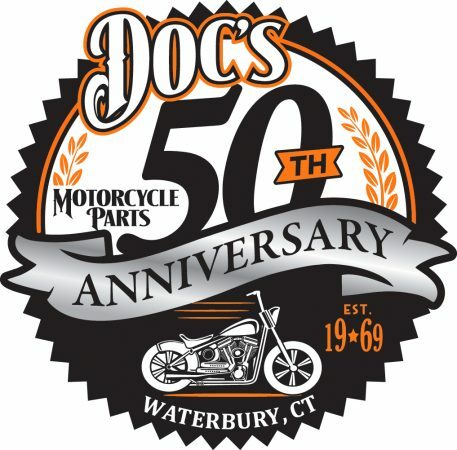 The story was prompted by a pre-breakfast message from a RIDE-CT & RIDE-NewEngland reader who wanted to know who got the original story right – the C.M.R.A. 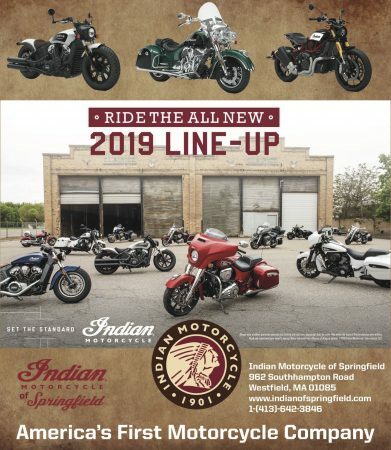 or RIDE-CT & RIDE-NewEngland? Unlike most news organizations, which routinely correct errors, the C.M.R.A in its new post neither noted that it was a correction nor admitted that its original post was false and that it had mislead its members for roughly 24 hours.